Your driveway gate requires proper maintenance and up keeping. Count on us to professionally maintain and repair the gate for you. We have long experience in home gate repair services and fix gate parts, troubleshoot openers and replace broken components. 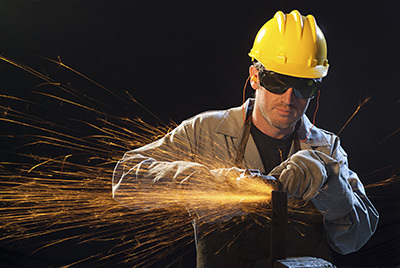 Our company is a specialist in gate welding services. We repair hinge welding issues and reinforce all welded parts. When it comes to your gate, you should never settle for the second best. Our team at “Gate Repair Fountain Valley” has years of experience in the field of professional services. With expertise in residential systems and dynamic infrastructures, our company has the technical ability to take care of all related needs. We provide gate repair, maintenance and installation and are also able to install new intercoms and replace rotten components. When it comes to such crucial systems, all parts are vital and must operate efficiently. That's why our services are thorough and this also explains our full dedication. Which part is not important enough! From the tiniest nut to the operator, all components have their own special significance. There is no wonder why our professionals are meticulous during automatic gate troubleshooting and inspection. Our intention is to examine and address the issues so that your system will be operational, provide convenience and ensure your safety. Such an approach makes us a great choice when you look for a reliable and professional maintenance provider. The truth is that all services provided by our company are performed by experts who care to do a good job and help you avoid inconveniences. Whether you are interested in routine service, emergency repair or new gate installation, you can be certain that our company will exceed your demands. Your needs are important to us. Since problems vary and each system has special requirements and specifications, our technicians are prepared by keeping track with developments, changes and improvements on the market. Rest assured that we have expertise in all services related to the most recent residential gate openers and are ready to assist you anytime. Our team provides opener maintenance and immediate repairs. When there is trouble, it is handled in timely fashion. Nobody likes leaving the gate wide open and our professionals certainly don't like hearing from clients that their life is in danger due to sensor problems. Urgent issues will be taken care of faster than you'd expect. Our vans are already equipped and our technicians offer same day emergency service. We offer replacement & installation services, opener maintenance, swing gate adjustment and repairs related to all the components of your unit. Count on our knowledge of swing and rolling gates, electric operators and the requirements of all parts! 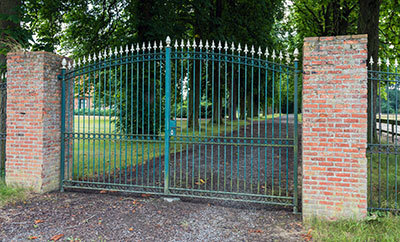 our Gate Repair company in Fountain Valley can satisfy everybody. It is our pride to work with such a devoted team and it's our privilege to serve the needs of our residential customers in California. You can all depend on us! The dynamics of our team is the assurance of every residential customer in zip code 92708 that his needs will be efficiently covered. Our company is located in California and provides welding, gate repair, new installations and opener replacement services. Automatic gates have grown extremely popular in Orange County, and to know who to call when they malfunction is crucial. For all your gate needs, including installation, repair and maintenance, you can readily count on our team! No matter what issue you are having, we got you covered. Your gate can become dangerous when there are repairs that need to be made. We don’t want your gate to close on you causing you harm. When you start to see that there is a problem with your gate, you should promptly seek our help. 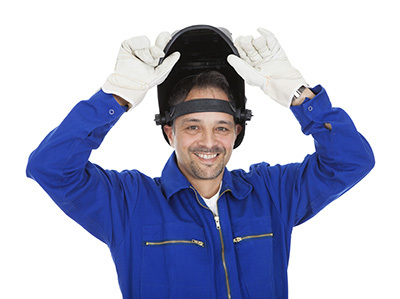 We can make sure that any repairs that need to be made are made. We have built our reputation on offering efficient services to everybody we serve. Once the necessary repairs have been made, they will withstand continued use for a long time. If you want a new gate installed, our technicians also have the experience needed to install every type. At Gate Repair Fountain Valley, we aim is to resolve your concern as quickly as possible, at a fair price.